Do you like to cook? Are you prepping for the holidays yet? 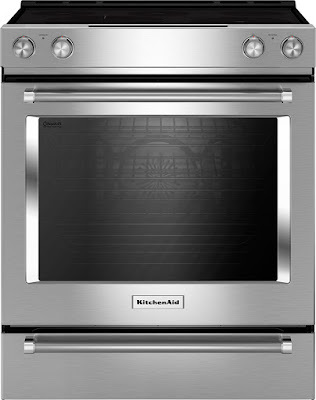 If so you'll want to know about the new Kitchen Aid line of appliances available now at Best Buy. 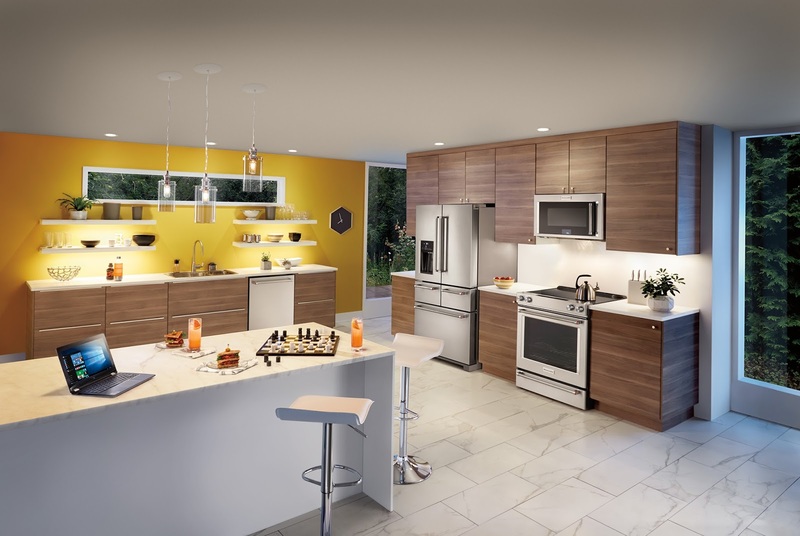 Kitchen Aid has re-imagined what a cook's kitchen can be with their all new line of Slide-in Ranges and five door refrigerators. Imagine how easy it would be to cook your holiday feast with one of these new ranges that feature Even-Heat™ Technology, and an exclusive Steam Rack and Steam Bake option. If you cook as much as I do you will love the baking drawer. It provides an additional oven without taking up additional space.You can use it to keep food warm, slow cook or bake items at a different temperature than the main oven. This time of year refrigerator space is a premium at our hose. 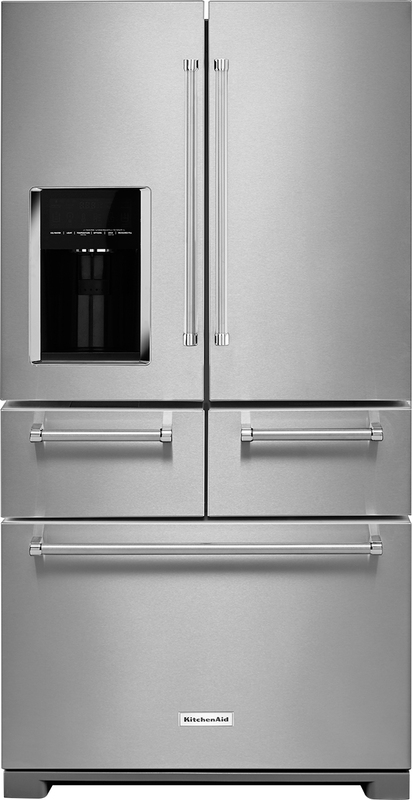 The Kitchen Aid French door refrigerator offers the ultimate in flexibility, organized storage and easier access to all your food. No more digging through the freezer endlessly, your food will now be at your fingertips. Not only that it looks sleek and has a luxury fit and feel. **Best Buy offers 18 month financing on Major Appliance purchases $599 and up or 10% Back in Rewards and free delivery, haul-away & recycling on Major Appliance purchases $399 and up. I have been compensated in the form of a Best Buy Gift Card and/or received the product/service at a reduced price or for free but all opinions are my own.